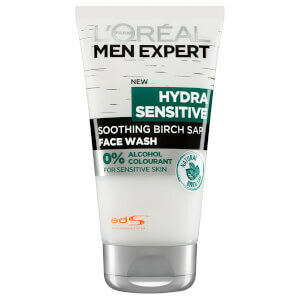 Specially formulated for men with sensitive skin, the L’Oréal Paris Men Expert Hydra Sensitive Face Wash performs a gentle cleanse while soothing the complexion. 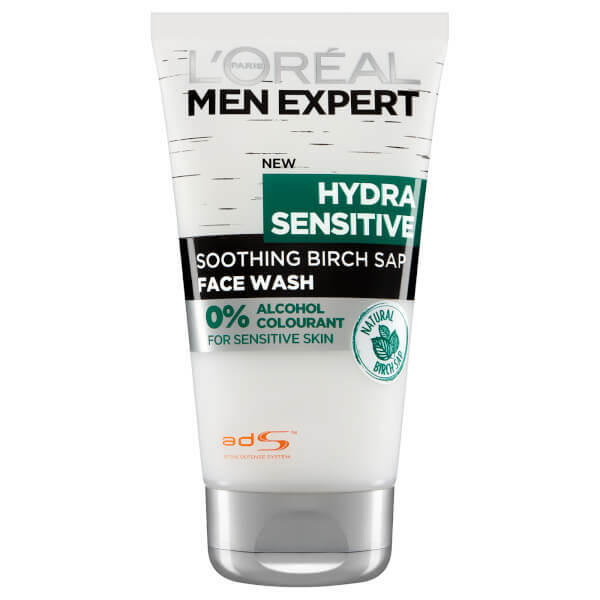 Infused with naturally derived Birch Tree Sap, the cleanser instantly soothes and protects the skin, helping to counteract the drying nature of daily aggressions which can cause skin to feel tight, sensitive and red. Quickly foaming, the ultra-gentle face wash will lift away dirt and impurities while comforting to leave skin feeling cared for and purified. Free from ethyl alcohol and colourants. Wet skin with warm water and apply a walnut-sized amount of product over the face. Gently massage concentrating on the forehead, nose and chin. Foam and rinse thoroughly. Use daily for a perfectly cleansed and soothed skin. Avoid the eye area. In case of contact with eyes, rinse immediately. Aqua / Water, Coco-Betaine, Sodium Lauroyl Sarcosinate, Potassium Laurate, Acrylates Copolymer, Cocamide MEA, Glycol Distearate, Mentha Piperita Extract / Peppermint Extract, PEG-90M, Sodium Chloride, Sodium Lauryl Sulfate, Hydroxyacetophenone, Hydroxypropyl Starch Phosphate, Caprylyl Glycol, Tetrasodium EDTA, Citric Acid, Pentylene Glycol, Betula Alba Juice, Acrylates/Steareth-20 Methacrylate Copolymer, BHT, Potassium Sorbate, Sodium Benzoate, Phenoxyethanol, Linalool, Limonene, Hexyl Cinnamal, Parfum / Fragrance.